A Haven for Wildlife and You! Recent Omaha World-Herald story on Heron Haven urban wildlife sanctuary and NRD’s input to make it happen! Heron Haven is a spring-fed wetland sanctuary offering nature trails and a boardwalk that are open to the public every day, free of charge. The sanctuary features one of the last oxbow wetlands of the Big Papillion Creek, and despite its location within Omaha’s city limits, it provides visitors a peaceful refuge in which to study, observe, or merely enjoy the natural environment. So, take a walk on the wild side! 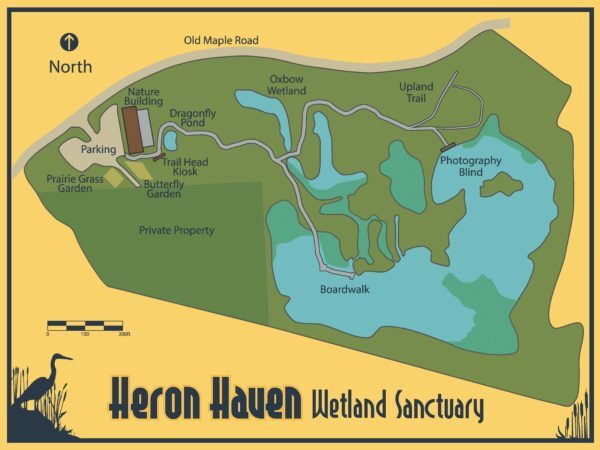 Come and visit Heron Haven, whether for a quiet nature walk, for bird watching, nature photography, or to view the butterfly garden and prairie grass exhibit. Friends of Heron Haven is a non-profit organization (501c3) whose elected officers manage Heron Haven according to a lease agreement with the Papio-Missouri River Natural Resources District. 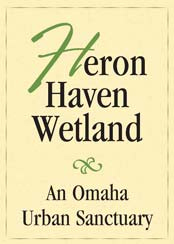 Friends of Heron Haven is dedicated to the restoration and preservation of the natural bio-diversity of the Omaha wetland known as Heron Haven. The goals of the organization also include the maintenance and development of manmade facilities and exhibits to provide opportunities for indoor and outdoor nature study, as well as the passive enjoyment and appreciation of wetland flora and fauna. Visit the Haven at 11809 Old Maple Rd. Heron Haven is an important educational and research asset to the Omaha community. Biology and ecology students from local schools and universities use the wetland to conduct ecological studies and surveys of native species of plants and aquatic animals. Heron Haven also has a spacious Education Center where lectures and short courses on conservation, birding, photography and natural history are offered. The Education Center also houses a natural history museum and a reference library containing books, periodicals and videos. A casual stroll through Heron Haven offers a unique opportunity to experience firsthand the ever changing panorama of plants and animals that comprise a truly natural place. The short (1⁄4 mile) Boardwalk Trail and the boardwalk itself, which extends out over the wetland, are stroller and wheelchair accessible. Several benches along the boardwalk offer relaxing vantage points for viewing wildlife. Bring your camera and binoculars! Depending on the season, you may observe a kingfisher, green heron or a great blue heron hunt for fish, watch a family of wood ducks paddle by, or listen to the incessant honking of a pair of breeding Canada geese, or watch as shy painted turtles slide off a log into the pond. Over 100 species of birds have made appearances at Heron Haven (a current list is posted in the trailhead kiosk). The mammals spotted at Heron Haven include woodchuck, mink, muskrat and deer. The wetland plants include blue flag iris, arrowhead, cattail and swamp milkweed. Another trail (not stroller or wheelchair accessible) leads through an upland wooded area to a secluded photography blind which offers a hidden view of the marsh wildlife. Be sure to pick up a printed guide from the trailhead kiosk which provides a key to numbered trail markers located along the trail. Near the educational center is a Butterfly Garden featuring a wide variety of native perennial plants which attract hummingbirds and many species of butterflies in season. A Native Grass Demonstration Plot offers the opportunity to compare species of prairie grasses common to our area. Friends of Heron Haven is a non-profit organization (501c3) whose elected officers manage Heron Haven according to a lease agreement with the Papio-Missouri River Natural Resources District. Financial support for the activities of Friends of Heron Haven is derived from governmental and non-governmental grants, private donations and annual membership dues. New members and volunteers are always welcome.